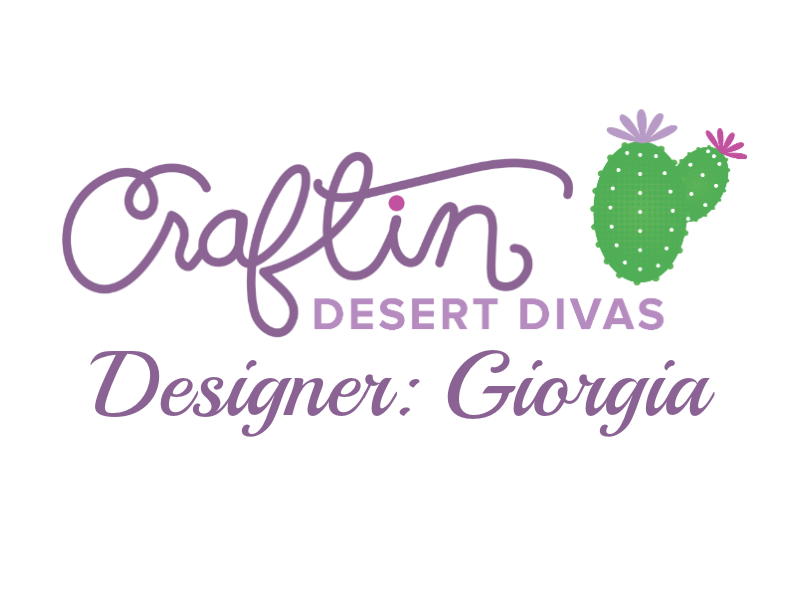 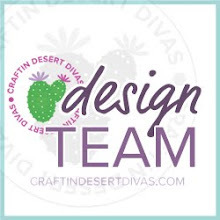 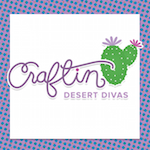 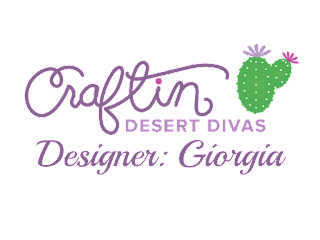 Here is Giorgia from CiocioScrap with my daily post for Craftin Desert Divas. 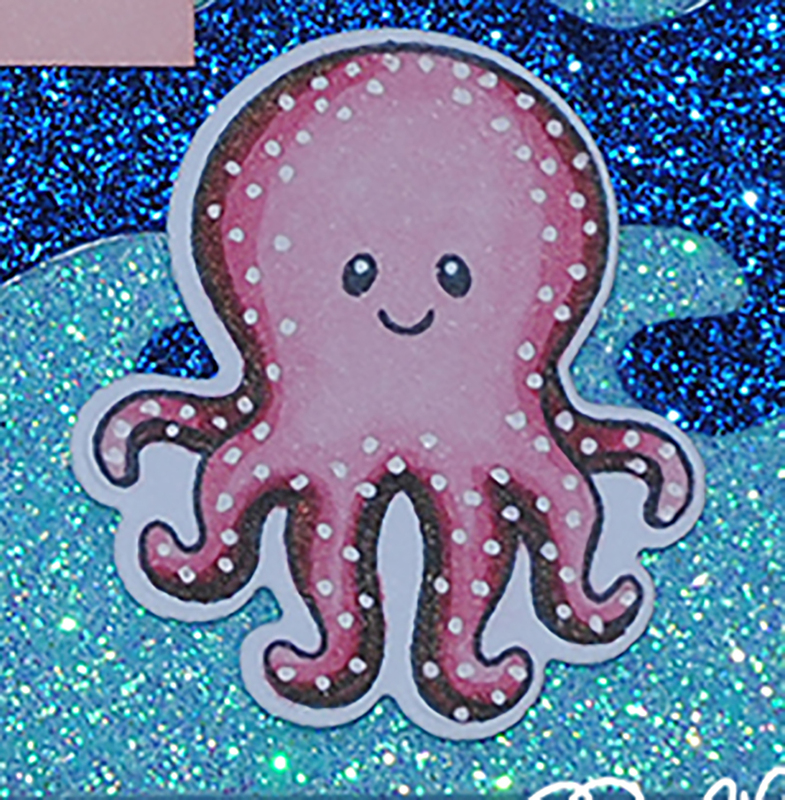 I love autumn but I'm always a bit sad when summer finishes.. so I keep creating summer cards, as this one that I want to show you today! 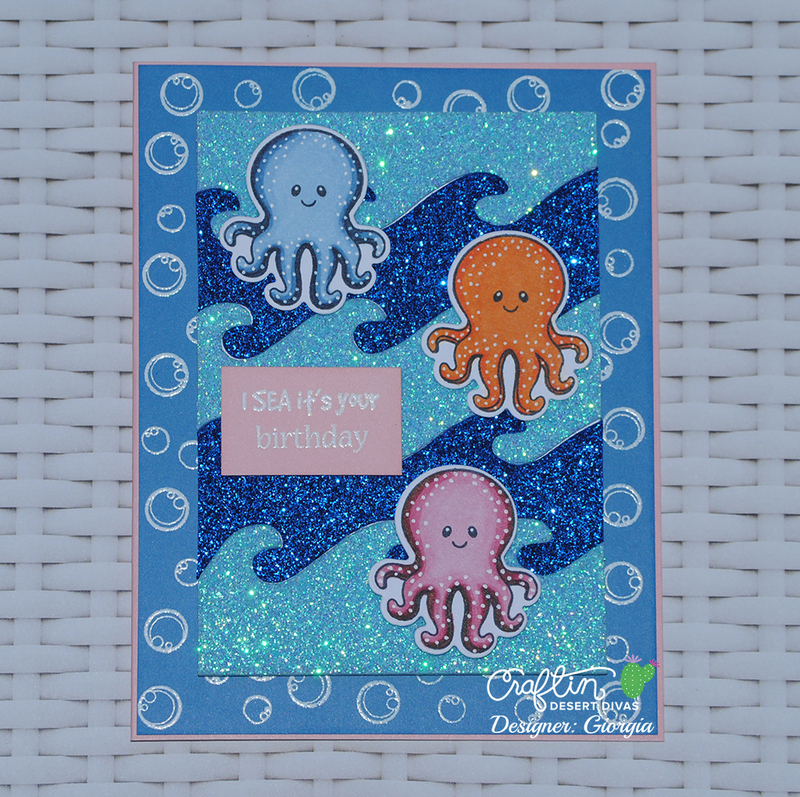 I created a background, using a blue cardstock and stamping over it some bubbles, then I embossed them with white embossing powder. 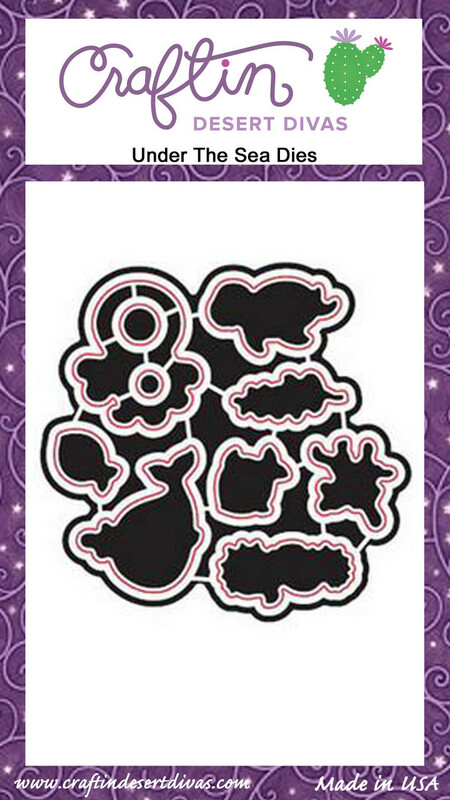 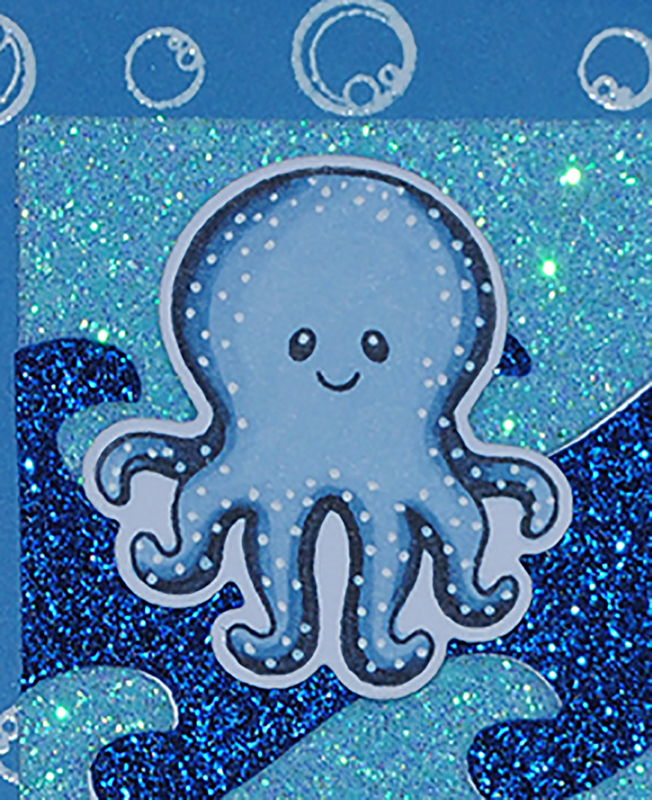 With two colors of glittery foam, I die cut the waves and put them together to create a shiny sea. 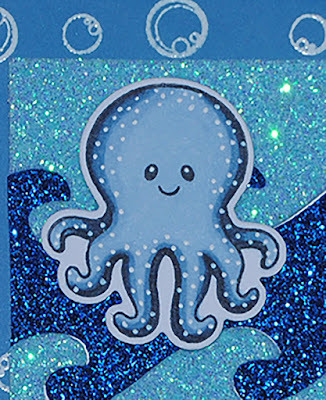 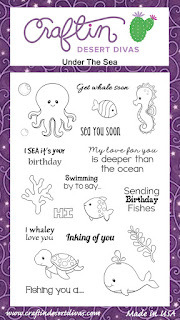 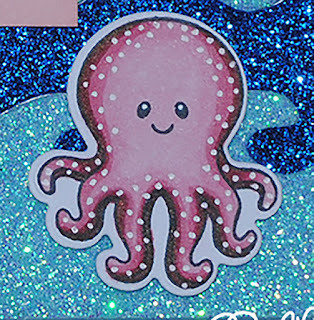 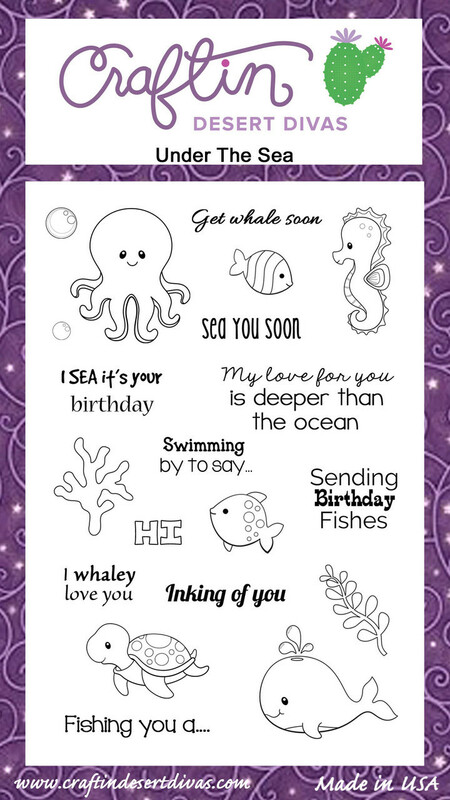 I finally stamped the happy birthday sentiment and colored three cute octopuses, colored with markers and white gel pen!